Michael Wood has been a licensed professional for almost 20 years, and he has focused exclusively on those consumers who are close to or already retired. To leave a government job after a long career can feel rewarding in most cases. For those employees that cannot stand their boss, or don’t share anything in common with coworkers, or maybe hate to commute or their jobs it’s a no-brainer; it makes sense to leave as soon as possible. For those that love their jobs, sometimes it’s hard to say goodbye. Either way, picking a retirement date is inevitable. 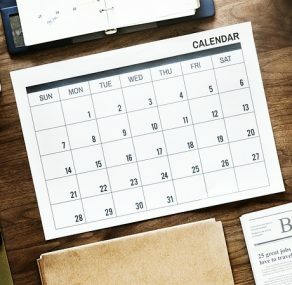 After deciding on the year you will be retiring, the next issue is to determine the ideal date; December 31 and January 1-3 are common dates for most federal employees. This is because to pick a late retirement date on December or the beginning of January can mean extra money, lower your tax bill for the next year, and enable you to carry over and benefit from thousands of dollars in cash of annual leave. This is the reason that most people do not go on a vacation within the final year of employment. A particular date can be useful for employees in Federal Employees Retirement System (FERS) while the other is best for those that will retire under the Civil Service Retirement System CSRS. Availability of a January pay raise this year could be reflected in the majority, if not all, of the annual leave an employee has carried over. To those hired in the 1980s, they may still be kicking themselves for selecting to opt-in to FERS because CSRS has a more generous annuity. Contrarily, individuals in FERS qualify for and pay into Social Security, and there will be the 5 percent government match in their Thrift Savings Plan (TSP). Individuals that are still married during their retirement can give a full survivor annuity for their spouse. 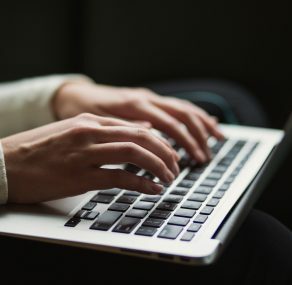 This is unless of course a court-ordered divorce settlement has barred them or an agreement is reached with the spouse to receive a lesser amount in writing. Under CSRS, full survivor annuity is 55 percent of your base annuity, and 50 percent under FERS. A survivor annuity that is reduced under CSRS can be in terms of a percentage of any base you elect or in a specific dollar amount. Selecting a specific dollar amount can be as low as $1 every month. Under FERS, 25 percent is the only possible reduced annuity. Once you opt for retirement, OPM can then determine the amount your annuity is reduced by to pay for the survivor benefit. The reduction is taken from the annuity amount you are entitled to during the moment you retire before deductions such as taxes, life, and health insurance. To CSRS retirees, OPM applies a formula to determine the reduction to be made to your annuity. The reduction under CSRS should be 2.5 percent of the first $3,600 you elect, plus another 10 percent of the amount that is above $3,600. This reduction would be less complicated under FERS. For a 50 percent survivor benefit your annuity would be reduced by 10 percent and 5 percent for a 25 percent benefit. A majority of retirees elect a full survivor annuity for their spouses, and it is a good reason to elect a small survivor annuity rather than not have one at all. To do so can preserve entitlement of your spouse to have coverage under the Federal Employees Health Benefits program. This is unless your spouse has an entitlement to the coverage in his or her own right as federal employee or retiree. Your surviving spouse would receive an annuity that can allow them to continue with that coverage after your death. A CSRS survivor that has an annuity that is reduced substantially would be required to pay premiums directly to OPM if they have an elected reduction that is small to cover them. Survivors from FERS are typically less likely to have problems to pay for these premiums under the reduction of 25 percent. Survivor annuity benefits are raised by cost-of-living-adjustments on an annual basis regardless of the survivor age. An annuity is a form of investment where a group of people each contribute a specific amount of cash and at the end each is guaranteed a stream of income. The primary purpose of such a program is to minimize the risk of exhausting your life savings. No one can really predict how long they will be alive, so the essence of annuity is to collect money as a group, so that the participants don’t reach a point where he/she has to use up all of their personal life savings. Many people wonder where to get income from after retirement, but it’s easy as long as you invest in the TSP and retire in a bull market. The most laborious task comes when you retire in a bear market, and the interest rate environment is entirely suppressed. 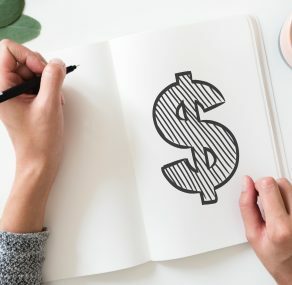 It becomes very tough trying to generate a safe, sustainable income because most of the time you’ll be spending more than what your account can handle. This is why nowadays many people fear to exhaust their savings. To counter the fear of outliving personal savings, the TSP provides a solution to all its participants by providing them with an option to buy a Single Premium Immediate Annuity (SPIA) with their TSP balances. This allows for the generation of income for life and secures the participant’s future as well as acts as a supplement to a personal pension. It is worth noting that the SPIA model has not changed for ages now and guaranteed participants that they won’t outlive their payments no matter the market conditions. However, you will have to forfeit all your contributions to the SPIA. The rigidly inflexible approach present here is what is often referred to as an annuity, and many people don’t like the idea of having to give up hard-earned cash to acquire it. In as much SPIA requires you to surrender control, you get a chance to select what works for you from various options. Single life only- this provides the most prominent monthly payment option. However, you only get paid when you’re alive, and as soon as you are gone, everything you leave is kept. So it’s not always a good choice for people with families. All other options provide participants with an opportunity to continue offering payments to loved ones even after you pass but that means your monthly benefits are reduced when alive. In as much as annuities are often referred to as restrictive and inflexible, not all of them are. 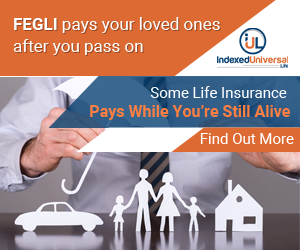 One of the significant innovations is that insurance companies no longer require you to give up your contributions to get a lifetime income benefit. It is an excellent deal since you don’t need to worry about outliving your annuity income and you still get to access your remaining balance. 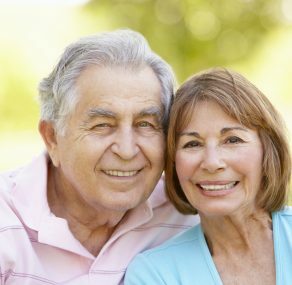 Could your golden years stay bright with a government-backed inflation-indexed CD of up to $1.5 million? Most people have the kind of money it takes to buy a worthwhile guaranteed-for-life annuity. 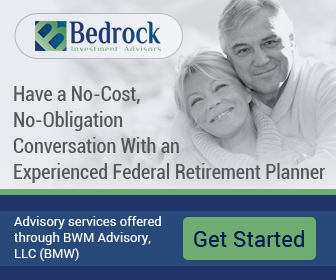 However, federal workers contributing to their Civil Service Retirement System or Federal Employees Retirement System plans are guaranteed both a lifetime income and survivor annuity. The National Association of Retired Federal Employees says that current retirees have a median annuity of $3,171 a month for CSRS. The amount for those under the FERS program is $1,121 a month. However, for those living in the Washington, D.C. area, the retirement benefits are much higher. They usually see annuities of $40,000. Most retirees who are enrolled in CSRS see full cost-of-living adjustments, while those FERS retiring employees see a not-so-great inflation rate adjustment of two percent a year. If a person wanted a $40,000 annuity for life they would need to pay $1.3 million. Lower-income federal workers and those retiring at 55 through CSRS would need to pay $1.6 million to have the $3,000+ a month. When a person is choosing a survivor annuity, usually the startup annuity cost is more. If a FERS worker wanted to purchase the self-only annuity (starting at 62) for the guaranteed $1,121 a month, they would have to pay $430,000 to do so. This does not include the survivor annuity; that benefit is an added cost. So, what can you do to get the most money from your retirement? The best thing you can do is contribute the maximum amount to your TSP plan ($18,500 or $24,500). Make sure these contributions are tax-deferred for as long as you are legally allowed and slowly withdraw the money from your TSP.